What is Cone Beam Computed Tomography (CBCT)? For many years, dental professionals have relied on intraoral radiography, panoramic radiography, and conventional tomography for diagnosis and treatment planning. These commonly used imaging modalities produce only two-dimensional and/or distorted images with superimposition of structures outside the area of interest. There has always been a need for three-dimensional (3-D) imaging, but the technology has only recently become readily available. Cone Beam Computed Tomography (CBCT) uses a cone-shaped beam and digital processing to reconstruct a virtually distortion-free 3-D image using a single rotation in a sitting/standing position, similar to that of a panoramic radiograph. 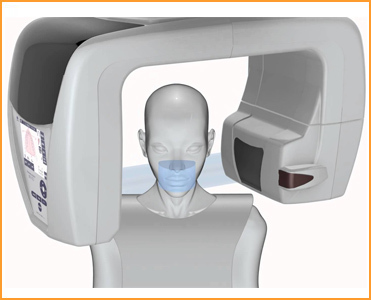 CBCT scanners are compact in size, capable of producing high-resolution 3-D imaging of hard tissues, and are compatible with computer-aided imaging software for improved diagnosis and treatment planning. Imaging exposes patients to less radiation than traditional CT scans. The scan is fast and comfortable to the patient. One scan produces a volume of images that can be viewed and manipulated. 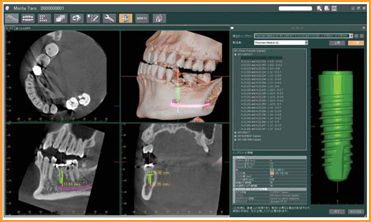 Clinicians can illustrate recommended treatment plans to patients using 3-D software. Allows clinician to visualize internal anatomy that cannot be diagnosed externally. Lower cost for patient when compared to traditional CT. Enhanced communication with patients and colleagues. If you have any questions or would like to schedule your next dental appointment, please call our office at 480-860-0092.